A large facet of people have heard the axiom: “You are what you eat.” How many people actually take it to heart though? Americans keep getting sicker and sicker every day, even though spending into the medical structure has vaunted to unheard levels. By in large, one big reason why there has been an increase in disease is because of their consumption of Trans Fatty Acids within the Standard American Diet, which prompts many issues. A sinister trick employed by companies is the fact that even though a product can be labelled trans-fat free, corporations can infuse up to 0.5 grams of trans-fats per serving.1 Deceitfulness is everywhere, definitely. One more way in which corrupt corporations pull a bait and switch. Another fantastic example of this is how companies keep calling foods at the store natural that happen to be genetically modified. In fact, if this food truly were real they would be thus labelled organic and not the former. The main reason why people should not consume trans-fats are because they are alien to the human body. Being an unsaturated fats, trans-fats also engage in the suppression in the immune system5, which also leads to onset of disease. There are a variety of cooking oils, and many of them are healthy. The one at the apex is Coconut Oil though. Due to its high saturated fat content, coconut oil is “the least vulnerable of all dietary oils to oxidation and free-radical formation and therefor is safest to use in cooking.”6[Fife, Pg. 30] Another great aspect of coconut oil is its preventative properties in respect to heart disease. There are many other aspects of coconut oil that make it a go-to food in the kitchen. With such a wide repertoire of benefits, especially when compared to other oils, coconut oil should be considered for implementation as a staple in people’s diets. It’s just one of the many things people can do to take back their health, and stop diseases in its tracks. Great health starts with a choice – a first step into a better direction. It’s as simple as that. 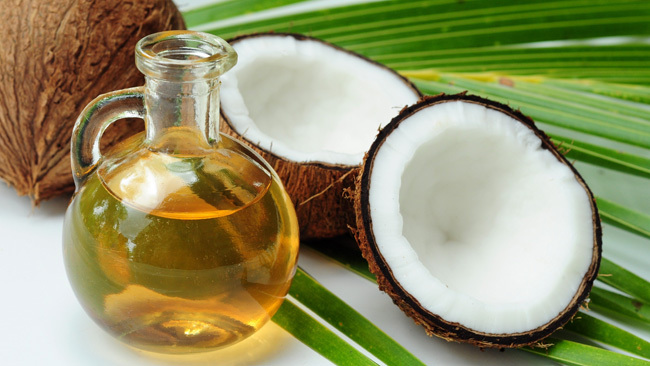 The Coconut Oil Miracle, by By Bruce Fife C.N. Pg. 31. Many years ago, soon after being diagnosed with Ulcerative Colitis, one of the supplements that was recommended to me by my doctor at the time was B-12. At the time, B-12 [nor many other vitamins] was not part of my supplementary repertoire. We as a family partook in the Standard American Diet [S.A.D.] which involved nothing nutritional, and everything that can be deleterious to one’s health. Yeah, tell me about it! Although we continued taking B-12 for years after its initial recommendation, the real detriments of having insufficient B-12 would not become known to me until more than a decade after its first recommendation. This is a vastly more important topic than people realize, because this affects countless [millions] more people than we know. Countless maladies can be caused by being vitamin B-12 deficient, and am speaking from experience [unfortunately] as it was found that I was highly B-12 deficient [even though supplementation was part of my daily health routine, although the amounts were inadequate obviously], which was causing a large series of issues with my health earlier this year. For more information on this remarkable vitamin and some of the complications that can arise due to deficiencies, please watch the Documentary below. You are currently browsing the archives for the Vitamins & Supplements category.